I had my second child recently. Being a parent is one of the steepest learning curves. Learning to be a parent of newborn again has made me reflect on myself as a learner. How do I learn best? I find myself different to many other parents. I don’t like people coming over to visit and “help”. I like to be left alone to try things for myself. The support I find most effective is to be allowed to work it out for myself. If I wanted help I would seek it out myself. I don’t need people to give me hints and advice if I haven’t asked for it. Even as a school student, I would prefer to find the information I need, try it myself first multiple times and then seek help from my teachers after multiple attempts. I hated it when I was forced to listen to the teacher’s ways of doing things step by step. This got me thinking about personalised and differentiated learning. How can we as teachers design learning experiences to cater to the needs of individual students? A lot of the times personalised and differentiated learning translates to modified learning activities such as assessments, different levels of scaffolding, letting students choose how to present their learning (eg. choosing whether to do a presentation or a poster), allowing students to learn at different paces and creating individual student learning plans. These strategies are necessary and are often very effective but can we push personalised and differentiated learning to another level? Can we allow students to choose HOW they learn? As teachers, we often force the same way of learning to all of our students, whether it is flipped learning, inquiry learning, traditional teaching, project based learning, etc, etc. In any class there will be some who love whatever strategy the teacher chooses, some who will adapt to any strategy and some who absolute hate the strategy. Also, students can prefer different strategies in different circumstances. Reflecting on my own school experiences, I like to be left to my own devices to work things out in science and maths, but I preferred very structured, teacher-led instruction in art, English and physical education. Talking to students, they have expressed the same views. Some really like the very structured, teacher-led, sage-on-the-stage teaching style of one teacher and others don’t find they learn that way. So is there a way to differentiate and personalise pedagogy for each student? The answer is probably no (if we are looking at the current schooling model). It will be impractical for one teacher to design a project based learning experience for some students and something else for the rest. However, if we break down the one-teacher-per-thirty-students model, then maybe it can work. If we got rid of the idea of classes and instead took a whole cohort of students (eg. all of year 10) and they had a teaching team (say 6 teachers), then pedagogy can be personalised and differentiated for groups of students. One teacher can lead project based learning experiences for a group. Another can lead a group who like to learn independently. Another can lead a group who like to learn in small groups. The different options can be tailored to the needs of the cohort of students. Students can choose which teacher they would like their learning to be led by based on the pedagogy the teacher will use. This way, teachers can teach to the strategy they are best at and students can learn in the way they prefer. I haven’t tried this strategy myself or seen it in action. I’d be interested to find out if there are schools who allow students to choose their teachers based on who they think they learn best from based on their teaching strategies. As someone who has designed and delivered quite a few teacher professional learning (TPL), I have often reflected on the criteria and conditions of professional learning that will enable teachers to change their practice in a sustained way so that it becomes habit that makes an impact on student learning. TPL is hard to design and deliver. Teachers can be a challenging audience. And change is hard. TPL is also a large investment, both in monetary terms and time. There’s the cost of the professional learning, travel, accommodation, teacher relief and then there’s the time factor. Teachers are away from their classes, they have to plan relief work and then follow up on these missed classes. Taking all this into consideration, TPL presenters and participants all want professional learning to make an impact on student learning. But how many times have we walked away from TPL, get a few good ideas, never implement them and continue with business as usual? I have previously blogged about what I personally find to be effective TPL. For me it is essential that the TPL matches the strategy that it is trying to promote (please don’t tell me about active learning by making me sit down the whole day and listen to a series of lectures) and that there is follow-up. It is easy (and inspiring) to do one-hit-wonder TPL but what is being done after that to support teachers in the change process? Teacher professional learning is a process, not an event. Recently I had the opportunity to design and implement sustained TPL for project based learning with schools that are part of the Connected Communities strategy. Many TPL for project based learning goes for 1 to 2 days where teachers learn the 101 of project based learning and produce a draft project plan for implementation. Then teachers are left to their own devices. There is rarely follow up for teachers to seek advice or receive feedback. Ongoing TPL that focus on other enabling conditions of project based learning (formative assessment, student collaboration, teacher questioning and collecting evidence to evaluate the impact of project based learning) – Teachers will access 5 online TPL modules where each module will have a live online meeting via Adobe Connect so that teachers can share their experiences while implementing project based learning and seek advice, feedback and support from each other and course instructors. The online TPL will run through April to July 2017. I’m looking forward seeing the impact of this type of TPL where teacher learning is seen as a process and not an event. In other words, we want our students to become life long learners who are self-regulated and self-directed. PBL is an effective way to teach students how to be self-regulated and self-directed learners, through evidence-based practices. How does PBL develop self-regulated and self-directed learners? The key word here is develop. Self-regulated and self-directed learners are made, not born. To be successful at PBL, students must have a level of self regulation and self direction. Many teachers implementing PBL for the first time find that their students have low levels of self regulation and self direction, which can make PBL frustrating for all. The learning design behind any PBL experience needs to have built-in teaching moments that build students’ skills in self regulation and self direction. One of the most useful papers I have found that describes this is Supporting Student Self-Regulated Learning in Problem- and Project-Based Learning. I have drafted a graphic that combines the paper and my own experience to show how teachers can design PBL experiences that scaffold student self regulation and self direction. Feedback – The nature of PBL involves formative assessment, assessment for learning and assessment as learning. Students are constantly drafting and re-drafting their work based on feedback. This requires teachers to build in multiple opportunities for teacher feedback, peer feedback and self feedback. One of the best resources I have found in designing and implementing formative assessment and feedback is Strong Start, Great Teachers, particularly the sections on teacher questioning. Meta-cognition and self-regulation – PBL allows the opportunity for students to monitor their own learning goals and the effectiveness of a range of learning strategies for them as individual learners. Students are regularly required to reflect and evaluate the progress of their projects. Collaboration – PBL requires students to work as a learning community. They need to trust each other and respect each other to have effective self feedback, to work collaboratively as a team and to take risks in their learning. It is essential that teachers build and sustain a positive classroom culture to move their “class” to a community. it is also essential that teachers teach students how to collaborate. Collaboration and cooperation are skills that are learnt; they aren’t just naturally there in students. A key component of success in PBL is for teachers to teach students how to be effective learners. Most students need high levels of teacher guidance to know how to act on feedback, how to give each other and themselves feedback, how to set goals, how to monitor their progress and how to work productively with others. While PBL is not a silver bullet to solve all the challenges of education, it ties in many components of evidence based teaching. If teachers embark on PBL as long-term journey, their students will have more opportunities to develop into successful self-regulated, self-directed learners. 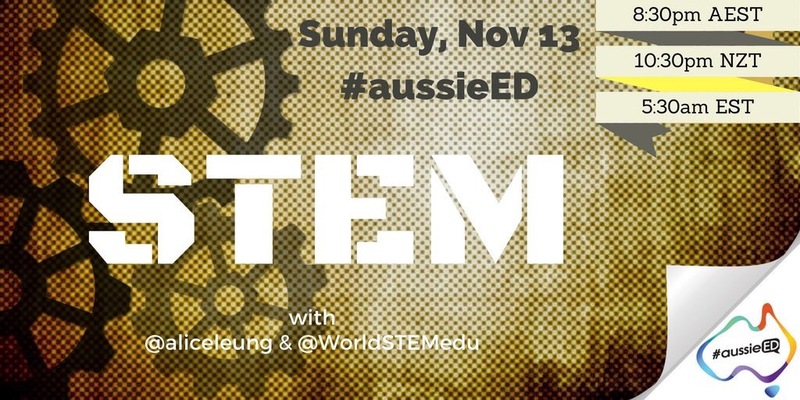 Last Sunday I had the privilege of hosting the weekly #aussieED chat on Twitter. The focus was on STEM. I wanted to dig deep into what Australian teachers thought on STEM education. 1. STEM education has come a long way and still has a long way to go. Some teachers indicated that their schools have implemented STEM as cross-curricular project based learning experiences and have moved from a few innovators and early adopters trailing STEM programs to whole school approaches. These schools are now supporting other schools who are starting their STEM journeys. A good example of this is the STEM Action Schools project in NSW public schools. It will be interesting to see how different schools and teachers evolve their STEM teaching approaches as they gain more experience and reflect upon them. 2. STEM education needs more than passionate teachers; it needs enabling conditions. Many teachers agreed that STEM is a way of teaching; a way of teaching that involves the integration of traditional subjects with a real-world context and driven by real-life solutions. This approach is enabled and sustained when structural systems like timetables, flexible learning spaces and a school culture that encourages teachers to take risks with different teaching approaches are in place. Otherwise it can become isolated pockets of excellence in STEM education, accessible to some students only. Some teachers mentioned dedicated time in timetables to work as a team so authentic cross-curricular collaboration can be created and sustained. Other teachers mentioned time to explore practical resources, opportunities to team teach with exemplary STEM teachers and time to reflect, evaluate and improve in their own practice. 3. How can educators and systems ensure promising practices in STEM are scaled and make an impact? Is STEM an educational fad? Do we even need STEM to be an integrated, cross-curricular approach? Should we focus on teaching science, technology and maths separately but make sure we teach it well? What are the goals of STEM education? Is it just purely to make students “future job ready”? Is it to create scientifically and digitally literate citizens? Does everyone need to learn coding? How do we measure the impact of STEM? What is an appropriate timeframe to expect impact? These were some of the issues raised throughout the #aussieED chat. We didn’t come up with answers as they are highly complex issues that can be highly dependent on context. Personally I think STEM education is vital to the future of students on a personal, societal and economic level. To make STEM education a sustainable practice, that is day-to-day teaching practice, the enabling conditions of quality STEM education needs to be in place. We also need to be clear on the purpose of STEM education for our students. Otherwise it can easily become a fad. What are your thoughts and experiences of STEM education? This week I ran TeachMeet Futures at the University of Technology, Sydney. It was the third TeachMeet I ran and I have lost count of the number of TeachMeets I’ve attended. I went to my first TeachMeet more than 4 years ago. I still find TeachMeets to be one of the most valuable professional learning. TeachMeets are structured and informal gatherings of teachers and educators with the purpose of sharing good practices and professional journeys. TeachMeets are educator-driven, not organisation-driven. Presenters are not paid; they volunteer their time and expertise to share with others. They are free. They are open to everyone. They happen outside of school hours. They have a strong online community. It is these characteristics that make TeachMeets are valuable part of a teacher’s suite of professional learning. Because TeachMeets are free and open to everyone, presenters and participants range from pre-service teachers, teachers, educators who work with schools and university academics. Teachers come from all school sectors. It is this mix of people, who are all passionate about student learning, but work in very different contexts, that enable cross-pollination of ideas. Presentations are short and sweet, 7 minutes or 2 minutes so you get lots of ideas to work on and implement with your students. I also find the strong online community valuable. Like many other TeachMeets, TeachMeet Futures had a strong Twitter backchannel. This allowed people to learn from the TeachMeet even if they were not physically there and it allowed connections to be formed amongst presenters and participants beyond the TeachMeet. It also allows the thoughts and opinions of the TeachMeet to be revisited and reflected on after the event if the tweets are curated and saved via Storify. See the TeachMeet Futures Storify as an example. So if you haven’t been to a TeachMeet, go to one. And if have been to a TeachMeet, go to another one or host one. The power and impact of TeachMeets stems from passionate teachers and educators sharing and learning from each other. Where are the teacher caves? If you are interested in flexible learning spaces, you would’ve come across the concepts of campfire, waterhole and cave. It is a way for teachers and students to design flexible spaces to reflect the learning needs for an activity. Campfire involves learning from an expert. Typical furniture set up include tiered seating or ampitheatre style. Waterhole involves learning with and from others where each person has something to contribute while also listening to the group. Typical furniture set up for waterholes include seats in a circle or desks connected in groups. Caves are where students can work independently and quietly, away from other distractions. Typical furniture set ups include single desks with single seats, positioned in a quiet space. One thing that freuqently pops up in discussions on learning spaces is the need to get rid of the teacher desk in classrooms. The teacher desk has become a symbol for old ways of teaching. If there’s a teacher desk, it is assumed you teach in a traditional way, most likely didactic. While I agree that a teacher desk can take up a lot of valuable space, I think in reality teachers just need somewhere to put their things, like their laptop. A lot of teachers, including myself, end up working in a classroom outside of class times on any desk, regardless whether it is categorised as student or teacher, because it’s the only place where we can concentrate and be productive with independent work like giving feedback on student work, planning lessons and reflecting on how we can improve. 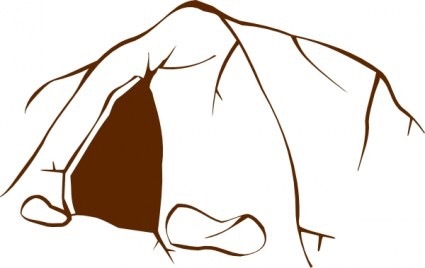 Staffrooms are great as waterhole and campfire spaces, but they are rarely effective cave spaces. While many schools re-designing student spaces, many do not get an opportunity to do the same for teacher work spaces. When the walls are knocked down between classrooms to create open spaces and teacher desks are gone, are those destroyed cave spaces created elsewhere? Companies known for their innovative spaces like Microsoft and Adobe have beautiful open, collaborative spaces. But they also have cave spaces. They have small rooms where individuals can use when they need to concentrate by themselves. Perhaps this is something schools can follow. Literacy is a focus for every teacher, regardless of whether we are teaching primary school or high school, regardless of what subject we teach. Without strong literacy skills, our students cannot access the curriculum. Reading comprehension and writing are essential to succeed to every aspect of education. One challenge I have always grappled with is how to create writers. I often feel like I have to continuously give scaffolds; a sheet to tell students this is how this text is supposed to be structured, you need to write this in this paragraph, make sure you use these connectives, etc, etc ,etc. I always asked how can I gradually remove these scaffolds so that students are 100% independent? It feels like I constantly have to provide scaffolds. I think a reason why is the way I (and other teachers) approach extended writing. Too much focus has been on the overall text structure (eg.In a scientific investigation report, there is an aim, equipment then method. The method has to start with a verb and be in present tense.) There’s nothing wrong with this per se, but it is not enough. It is not enough to say to students “Use PEEL to write your paragraphs. You need to write this paragraph so that it starts with a point, then elaboration, then provide an example then a sentence that links to the question. Throw in a complex sentence because you know, NAPLAN (Australian teachers will understand the NAPLAN bit).” But why do we have to write in complex sentences? Why do we use nominalisation? The PEEL stuff and text structure do not teach students why some words and sentence structures are favoured for particular texts and purposes, particularly academic texts. So what else what needs to be done? I think the field-tenor-mode framework needs to be the overarching strategy. I came across field, tenor and mode a few years ago and am currently doing a refresher course. Field, tenor and mode are components of linguistics. Every text, regardless of subject, can be viewed from the field-tenor-mode framework. To put it simply, field is the subject matter of the text; tenor is the relationship between the author and the audience; and mode is how the text is constructed, particularly whether it is written-like or spoken-like. I think tenor is something that schools do not do well. The relationship between the author and the audience is essential is what words you choose. For an example, an email to a friend and a book review have very different relationships between the audience and the author. Frankly, schools don’t do audience very well. Very rarely do students know the audience of their extended writing. Mode can help students in moving their writing towards being more written-like. Many, many students write texts in a spoken-like manner when formal, academic texts need to be written-like. This is where the complex sentences come in. Written-like texts are more lexically dense. To write a text that is lexically dense requires complex sentences, which may also require nominalisation. Designing activities where students can learn this will enable them to know why and when certain sentence structures need to be utilised. So I am now using the field-tenor-mode framework for my students whenever they are composing any text, for any subject. Here are some resources I have created so far. All resources can be used for any subject.